In Trade-Off, Kevin Maney thoroughly explains the successes and failures of businesses who have took aim at what he calls, the fidelity mirage. This fidelity mirage, is when a company believes that they can create a product (or service) that is simultaneously of high fidelity and of high convenience. Maney defines fidelity as the total experience of something. Another way of looking at fidelity is quality. The higher the quality of experience,the higher the fidelity. Overall, Trade-Off is an essential book for anyone looking to gain a better understanding of why some products or services succeed and others dont. More importantly, for those aspiring entrepreneurs out there, Maney illustrates, by example, some sure-fire ways for your product to NOT make it off the ground. His advice is sound and based on years of experience. One of the cover-stories this morning of the USA Today is titled: “McDonald’s revamps stores to look more upscale.” The gist of the article can be gleaned from the title, too. McDonald’s, known for its super-convenience, is trying to buy their way into the ‘quality market.’ As Maney may put it, ‘they are attempting to break their way into the fidelity-game.’ At first glance, this may seem like a great idea for McDonald’s. They’ve had a stranglehold on the convenience market for quite some time, and now, they figure, why not expand our horizons and try to get a piece of the ‘fidelity’ pie. I’m not Kevin Maney, but using his idea of the “fidelity mirage,” I think that McDonald’s is headed down a road that could lead to some major losses. In the book, Maney cites the examples of Coach bags and RAZR cell phones as trying to bridge the gap from fidelity, or quality, to convenience, or quantity. In the Coach example, the handbag maker had been at the top of the luxury market with the likes of Louis Vuitton. Between 2004 and 2008, Coach opened nearly 100 new stores and lots of outlet shops. In doing so, one of the reasons their bags were selling so well [allure] quickly faded as the bags became more and more accessible, available, and prevalent. It was no longer unique to have a Coach bag. This same thing happened with RAZRs. Motorola took their sleek and fashionable phone, lowered the price (from $400), and flooded the market. 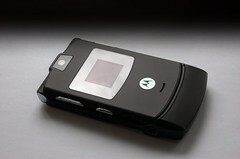 Like Coach, RAZR had ruined the product that was based on fidelity. With what was announced today, I think that McDonald’s is trying to make the leap from convenience to fidelity. The examples I’ve cited are of companies trying to make the leap from fidelity to convenience, but I still think that we can learn from those companies misfirings. For as long as McDonald’s has been serving Big Mac’s, they have been known as the super-convenient place to get food. This will be quite a paradigm shift for a company that has made their money on turning food production into an assembly-line-like process. I don’t think that McDonald’s will draw customers that would have otherwise not gone to McDonald’s, but I think that this is what they are trying to do. Instead, I think that they may just enhance the ‘experience’ for those customers who already go to McDonald’s. That is, I don’t think we’ll find a sudden increase of people courting potential high-priced business clients at the local McDonald’s. I also don’t think that McDonald’s will lose any of their customers seeking super-convenience, although, it’s worth mentioning that those customers who are uncomfortable in “luxurious” environments might find it difficult to be in these newly designed McDonald’s. 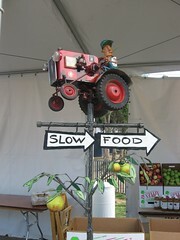 I don’t know that it’s reasonable for McDonald’s to do so, but I’d like to see them make the leap into Slow Food. I understand that this kind of movement could not happen overnight and maybe not even under the same brand, but I really don’t like the state of health fostered by people eating at McDonald’s. Bringing it back to the issue of today, I think that this attempt to pair fidelity with convenience will not succeed as much as McDonald’s hopes it will. This entry was posted in Business, News and tagged Convenience, Fidelity, McDonald's, Quality, Quantity. Bookmark the permalink.